Acting is something that many people dream of doing. Whether it’s just earning enough as an actor to not have to work elsewhere or reaching superstar level fame, acting goals are incredibly common and something that millions of people work towards. However, it’s not easy. For every Ryan Gosling or Jennifer Lawrence there are thousands of people who tried but never even landed their first gig. But getting into acting is possible. There are several key things that you can remember which will help make it much easier for you to reach your dream of breaking into acting and start landing jobs in films, stage, TV. The first thing we need to cover is simple – manage your expectations and set realistic goals for yourself. We’re not talking about how you can become rich and famous. We’re talking about how to become an actor. There’s a difference, and to become an actor you’ll need to be willing to devote passion, time, attention, and effort into your craft. You also can’t give up. If you set a goal for yourself that you want to become the next breakout superstar after one acting job, you’re setting yourself up for disappointment. Instead, you need to set realistic expectations that you can reach and string those goals together towards something larger. It’s not easy, but having the right mindset and expectations will help make it easier to move towards your goals. Any good actor begins by laying out the foundation for their success. You can’t just show up to an audition and expect to outshine everyone else without ever even practiced your craft. Yes, that happens – but those success stories are few and far between and even with a tremendous amount of talent and luck they don’t happen often. Instead, it’s better to lay out a clear foundation for success for yourself. Here are some of the things you’ll need to do. Read Up – Do you know where downstage is? What an objective or a gobo is? If not, you may not be able to fully understand what you’re diving into. Acting is an industry with its own unique terminology and various steps. Be sure that you read up on it to start learning more about how it works. Read acting books and guides, but don’t forget to check out a few plays or screenplays to give you an idea of what to expect. Take Lessons – Acting classes may seem like a waste of money, but they have a tremendous influence on the success of prospective actors and actresses. Talent is great, but when that talent is honed and forged in the fires of a great acting course, it goes from raw talent to refined skill – and that can be the difference between landing a great gig and never even making it to an audition. Get Involved – Volunteer at your local theater and pay attention. You’ll see what actors do, how a production works, and – most importantly – make connection. You could be able to befriend actors and directors in the industry, which in turn could help you land a part. Watch! – Finally, really watch an actor work. Check out what they’re doing to bring a character to life. You can watch tons of movies at home, but heading to the theatre to see live productions is even better. The key is gaining an understanding of how the best actors do their job. Take note of their mannerisms, speech patterns, and how they’ve transformed themselves into the character. Once you’ve taken the time to lay the foundation for success, you’re ready to start taking steps towards actually acting. Here are some ideas. Land A Gig As An Extra – You probably won’t have any lines, and you may not even make it onto screen, but landing a job as an extra helps you experience the process of being in a movie, make a little money, and build up your confidence. Audition – This one’s the key. You’ll have to audition for any part out there worth having, and you may not be able to ace your first one. But staying positive and continuing to audition for roles should eventually lead to landing a spot in a movie. 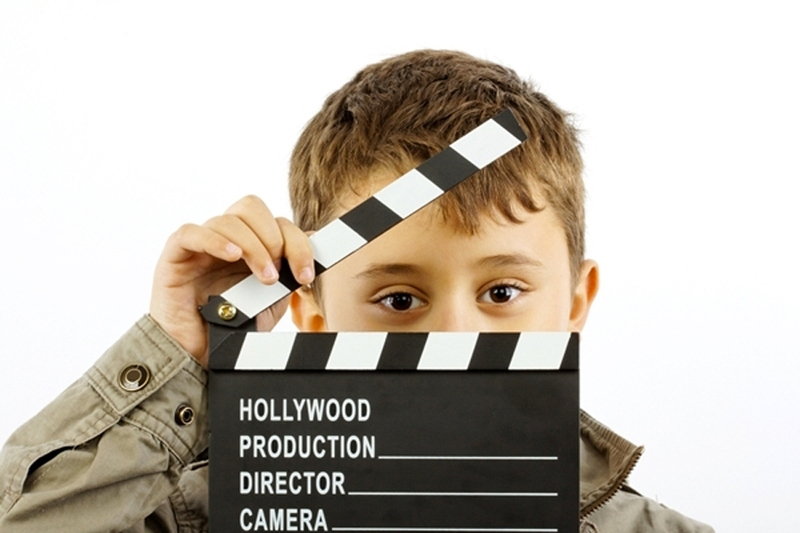 Check Online – Online resources often post plenty of casting calls for gigs around the country. Instead of having to travel to audition, you may be able to audition through a webcam for parts. Build A Profile – While we’re talking about the internet, it’s worth mentioning that you can leverage it to your advantage. Create a YouTube channel for yourself and start posting videos of your own sketches, monologues, and acting routines. You could build up a name for yourself – more people are being noticed through their online work than ever before. Don’t Give Up – It’s important to say this because many actors get discouraged quickly. It can take a lot of time to reach your goals, but the key is to never give up. You never know when that next audition is going to be the one that gives you your big break, so keep at it. Doing any of the steps above will actually have a big impact on your success, so keep it in mind. If you’re serious about becoming an actor, remember that it’s a long road but one that will lead to serious rewards at the end of the line. The tips above should serve as a basic guide for your journey. The rest is up to you. This entry was posted in Aspiring Actors. Bookmark the permalink.